Pots and plant containers add to the color and design of your garden and also contribute to the overall well-being of your plants. 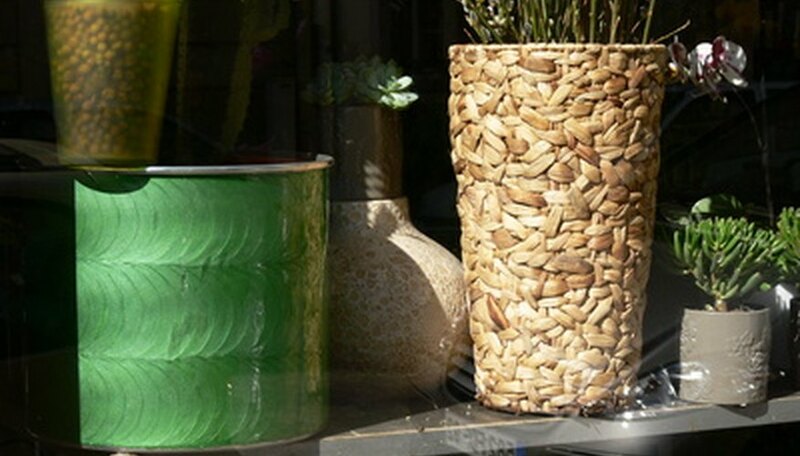 Pots and planters can be made from a variety of materials including clay, metal, wood, resin or plastic. One critical factor when choosing pots for your garden is finding ones that can withstand the climate where you live. Terracotta clay pots add natural color to garden decor. While the porous material allows for air and water to move naturally through the pots, they are more susceptible to temperature changes. In summer, use the pots in shade, or water frequently to avoid drying out the plant. It's best to plant annuals in clay pots so that they can be emptied, cleaned and stored during winter months. Cold weather can cause the pots to crack and damage roots. In temperate winter climates, the pots can be used if wrapped in plastic to protect the plant roots from freezing. Stone and concrete planters are other natural materials that enhance the garden. Both materials maintain soil temperature and moisture. The heavy nature of stone and concrete make them better for permanent garden design than for movable pots. Metal pots can be made of copper, steel, cast iron or zinc. Weather elements often enhance the look of metal, changing the color and texture of the pots. But metal does not work well in extreme temperatures. Metal pots can heat up in direct sun, damaging roots. Using the planters in shade is often best for plants in the summer. Metal pots can be used in winter if they are wrapped in plastic to create insulation for plant roots. The nonporous nature of metal means you need to create additional drainage in the bottom of the pot to avoid root rot and fungus. Coating the pot with a nontoxic rust inhibitor prevents rust. Wood is a natural material that works well year-round in gardens. Wood's porosity allows for water and air flow, but also acts as insulation against both heat and cold temperatures. Teak and redwood cedar are best for pots. Both are durable and have a natural resistance to rot. Some gardeners prefer the decor of painted wood pots or planters; however, watering and natural weather elements can cause damage to the pots. Use plastic liners to protect the pots and extend their use. Synthetic materials like resin are a new alternative for gardeners. 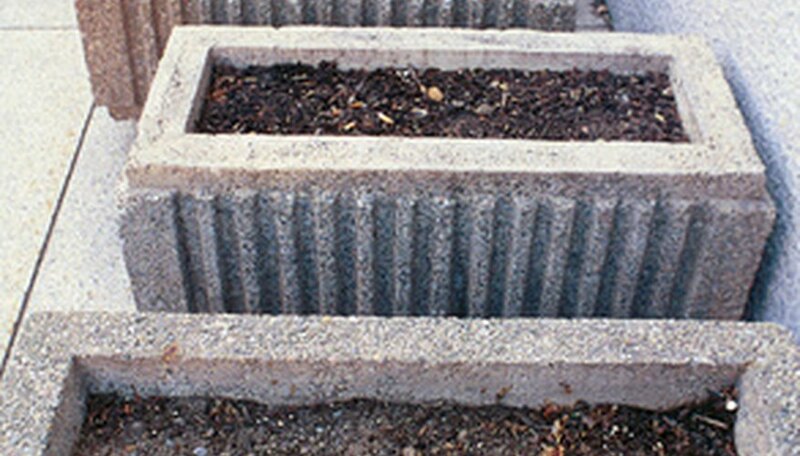 The planters are often lightweight and come in a variety of colors; some are even made to look like wood, clay or stone. 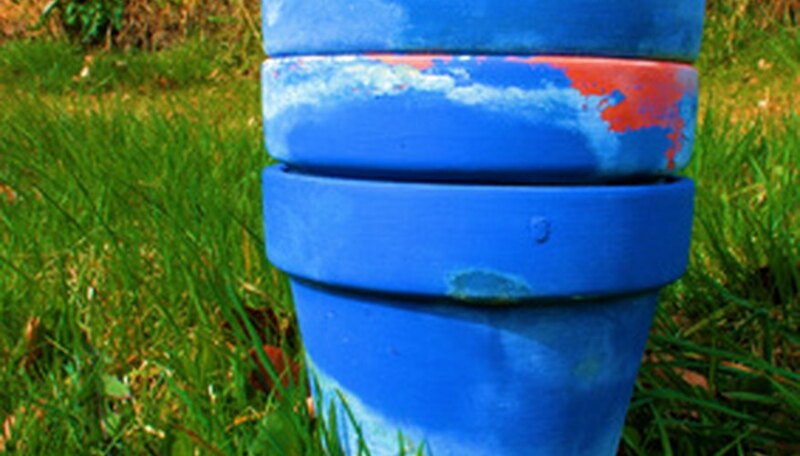 Resin is a natural insulator, making the pots ideal for both winter and summer gardens. Some of the pots also come with self-watering features and other innovations.